Are you thirsty after an intensive work out? Do you have a lunch meeting with one of you classmates? Or do you want to go for dinner with friends, to end the night with a game of Monopoly? In all these cases you can come to Cafe X! Also, check out our options for drinks and catering. Drop by and experience our diverse offer yourself. You can find our regular menu here. Check out our weekend menu here. Want to have drinks, a BBQ or even catering for an event at X? 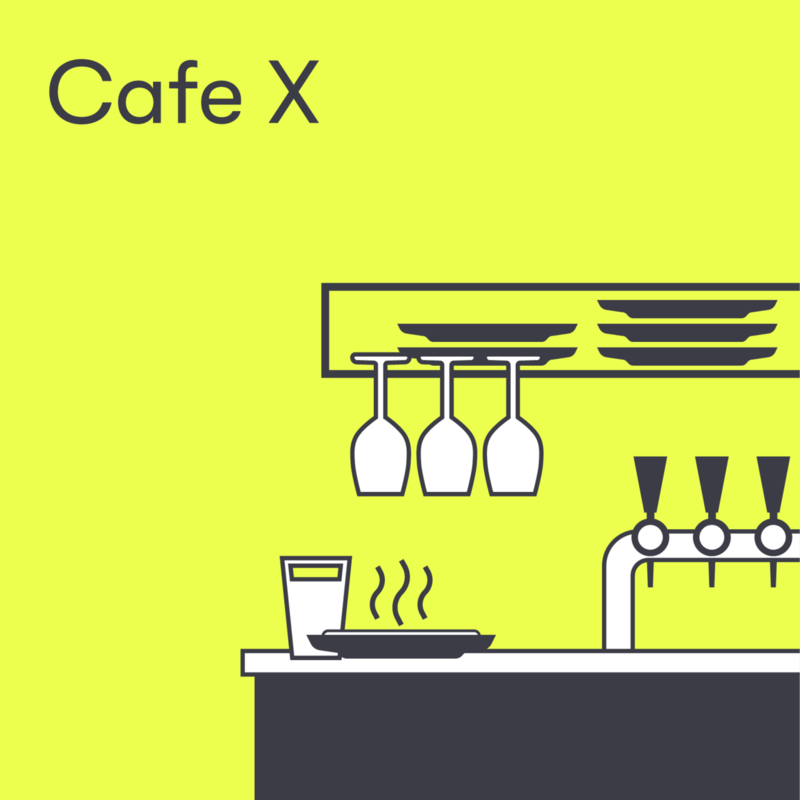 Send an email to cafe-x@tudelft.nl for the possibilities. You can choose from our range of packages, which we can suit to your requirements. We are happy to advise you! Check out the packages here.